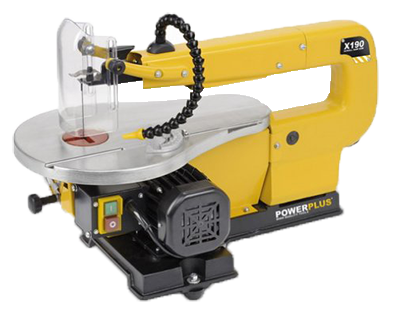 POWERPLUS SCROLL SAW 85W POWX190: Almost incredible sawing capacity in wood. Equipped with ultra-fine blades, it gives equally excellent results when sawing extremely thin materials such as veneer. With flexible air blow pipe for continuous clear view of the work area. Work table tiltable up to 45°.